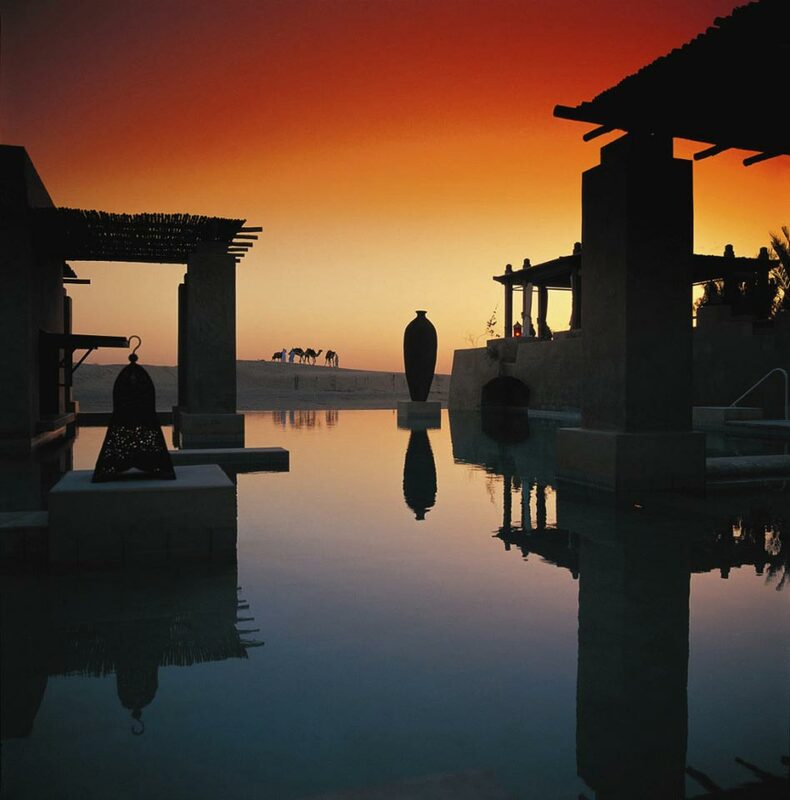 Bab Al Shams Desert Resort & Spa is an exclusive low-rise resort, a unique retreat in the desert surrounded by rolling dunes and natural desert landscape. 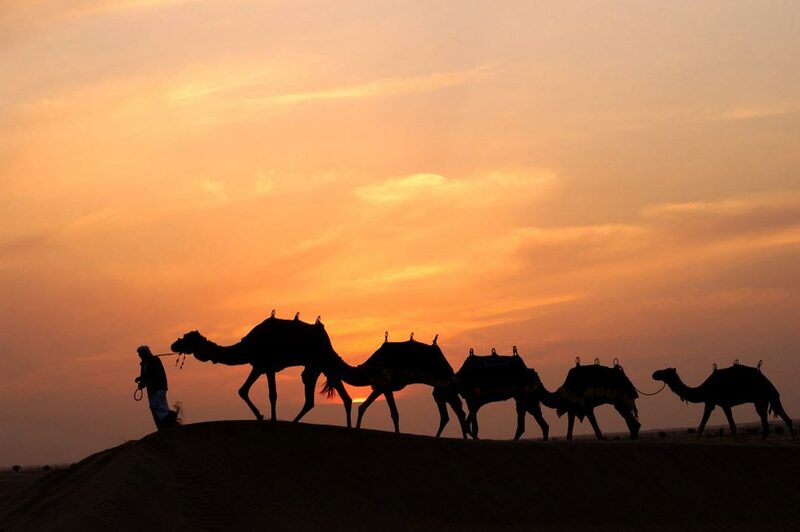 The resort provides a unique and traditional desert experience that is true to the culture and heritage of Dubai and the UAE. 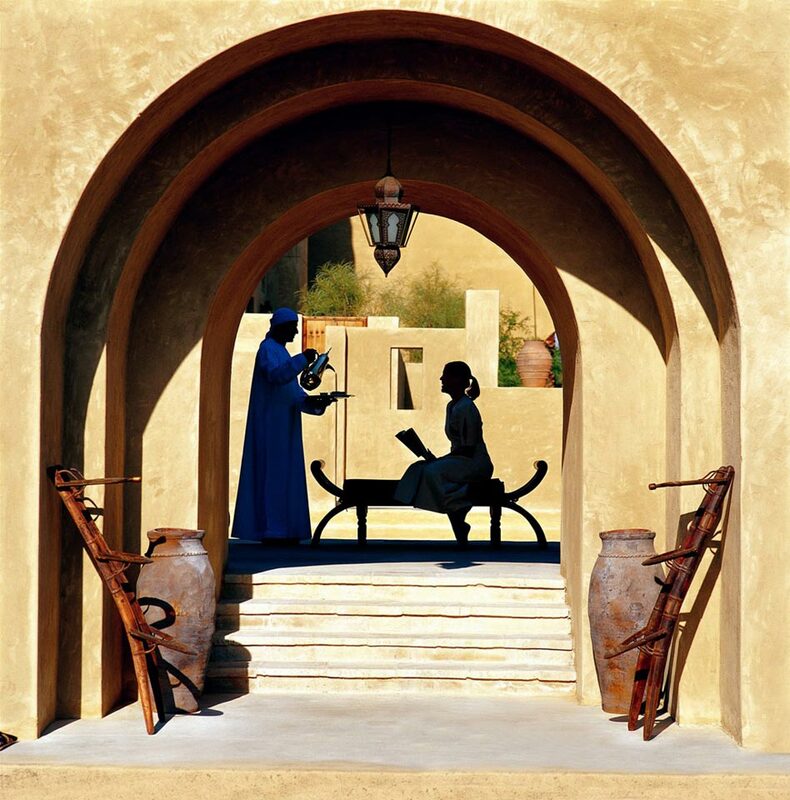 Translated from Arabic as ‘Gateway to the Sun’, Bab Al Shams was designed to resemble a fortified rural Arab village in the desert built in and around an oasis. 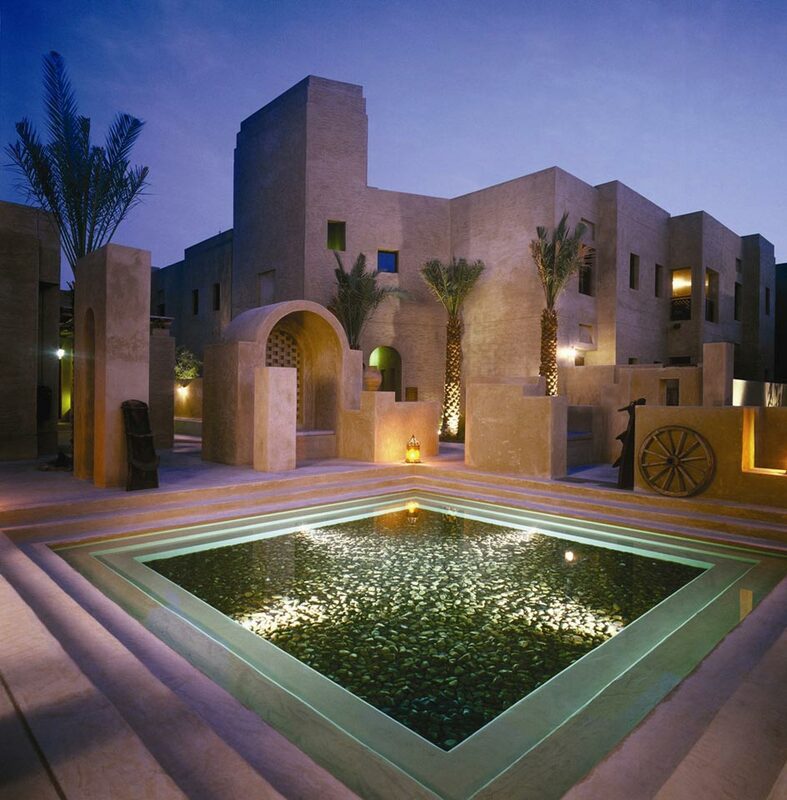 Inside the walls, shaded courtyards, walkways and water features provide cool shelter and maintain the unique ambience and atmosphere. 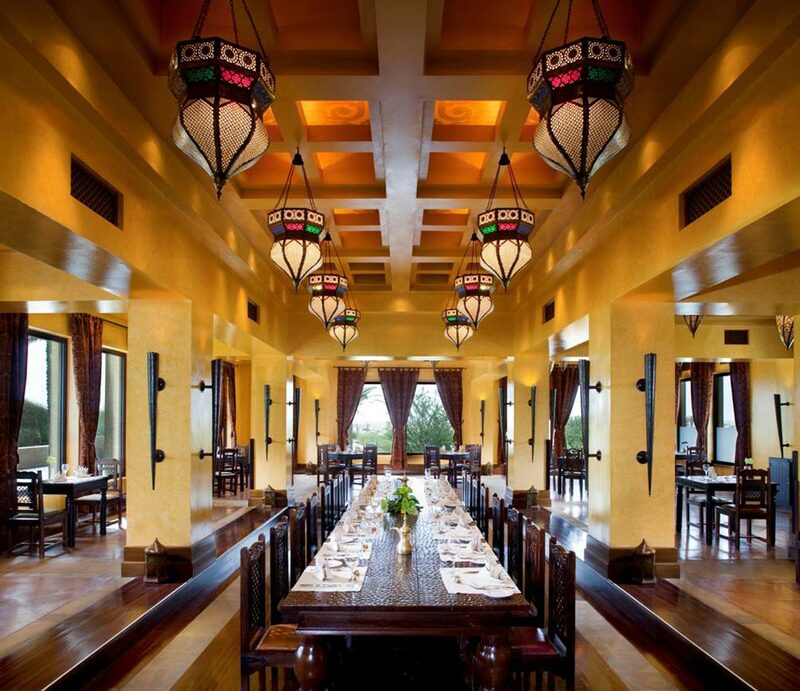 Experience traditional, authentic Gulf décor emphasized by the use of natural stone, dark woods and Arabian glasswork, and enjoy the modern facilities and amenities you expect from a luxury retreat. 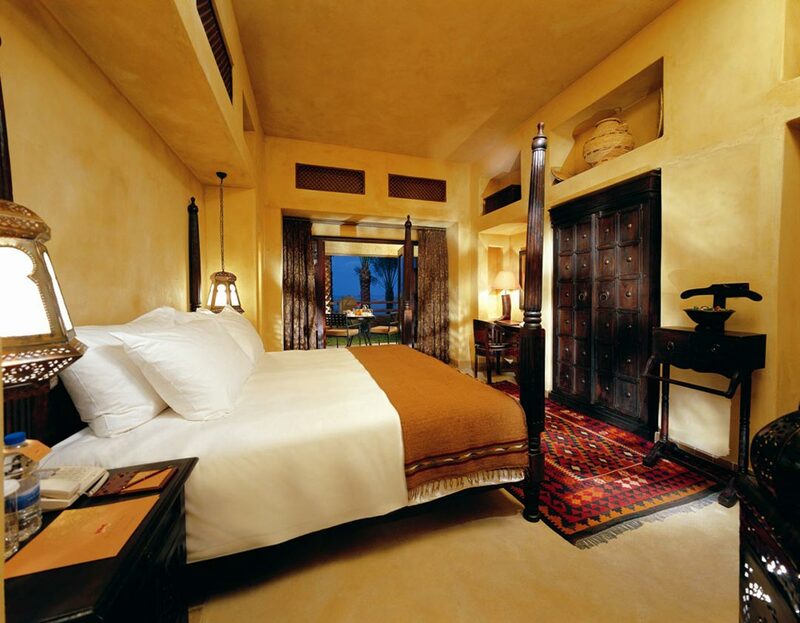 Bab Al Shams Desert Resort & Spa 115 rooms and suites are located in charming clusters of double-story buildings and each feature a balcony or private terrace. 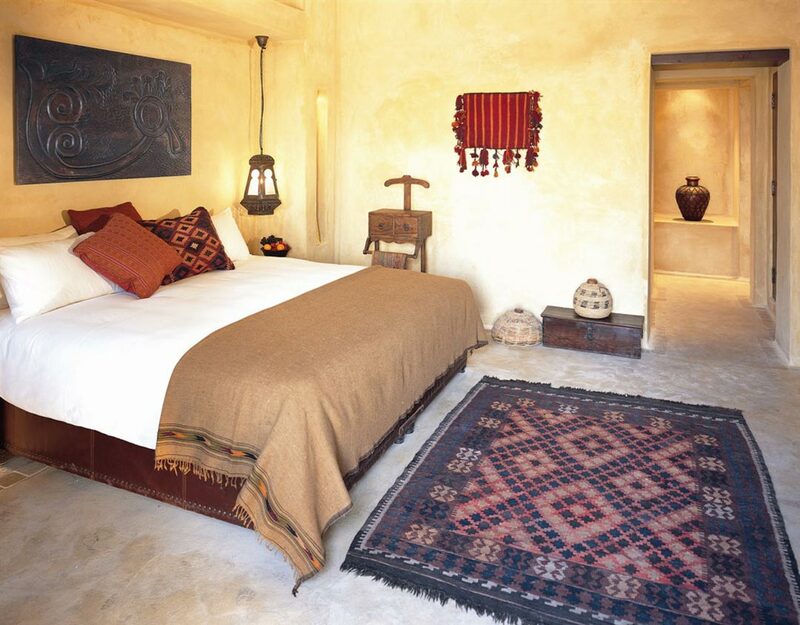 Half board, full board and full board Plus rates on request. 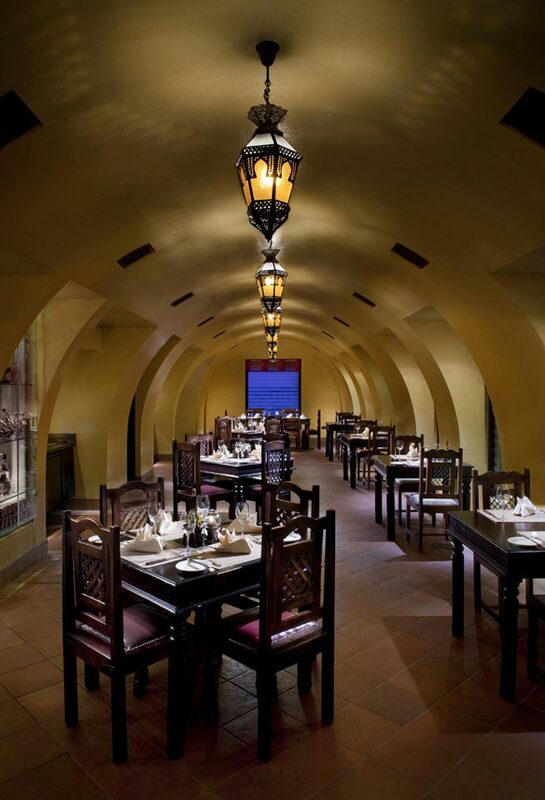 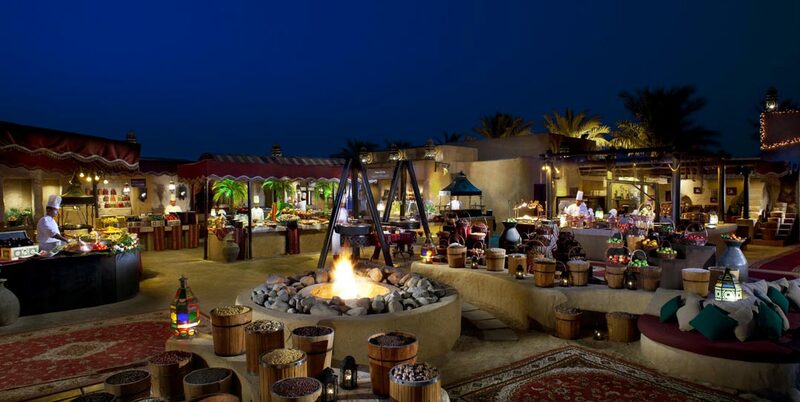 Don't miss a dinner at Al Hadheerah Desert Restaurant for exquisite arabic cuisine and live entertainment. 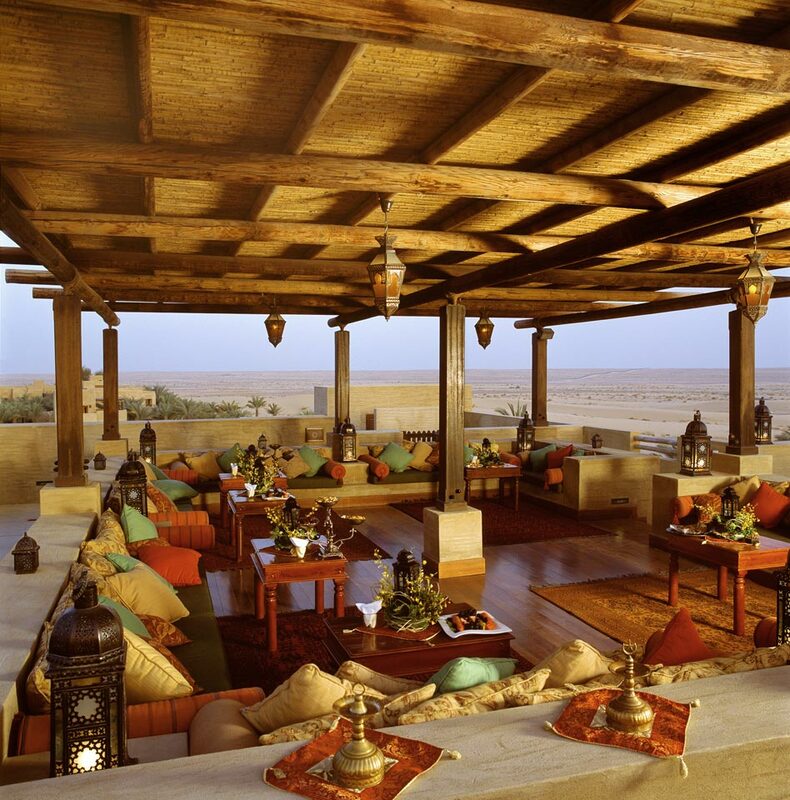 Eight restaurants, lounges and bars, including the unique Al Sarab Rooftop Lounge. 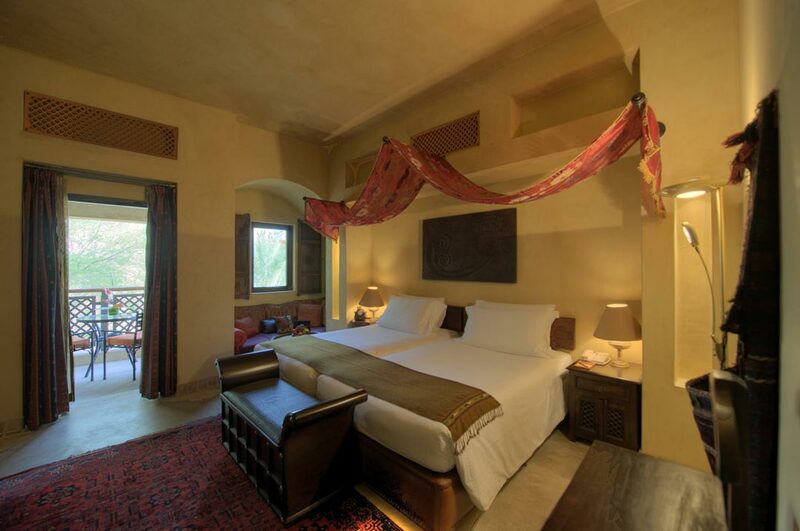 The word ‘Satori’ denotes a state of sudden spiritual enlightenment and conjures up feelings of joy, peace and tranquillity occurring suddenly and unexpectedly. 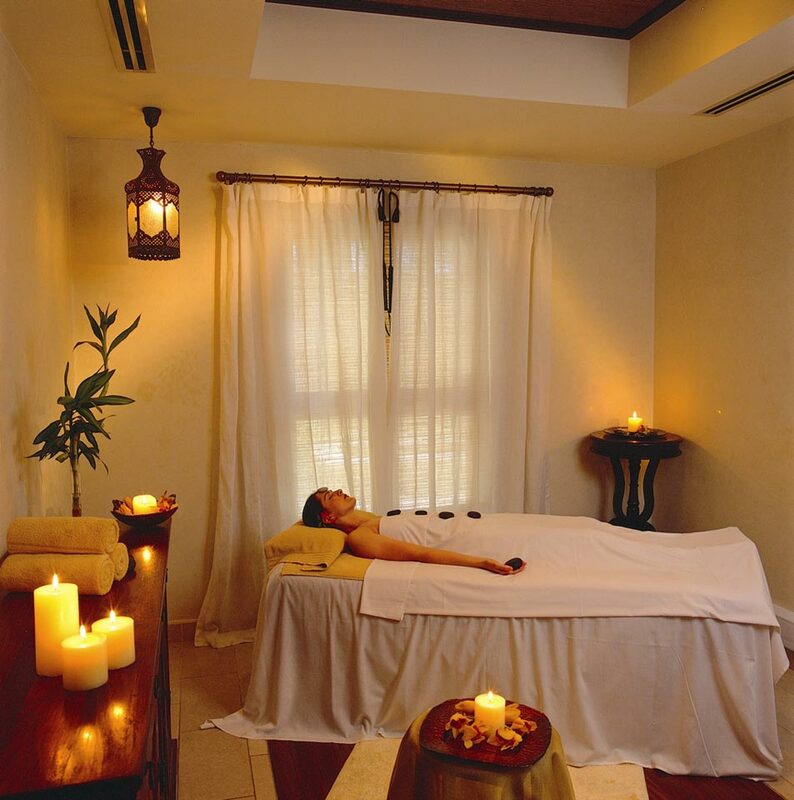 Satori Spa features a selection of four indoor treatment rooms, as well as a steam room and sauna that can be privately booked. 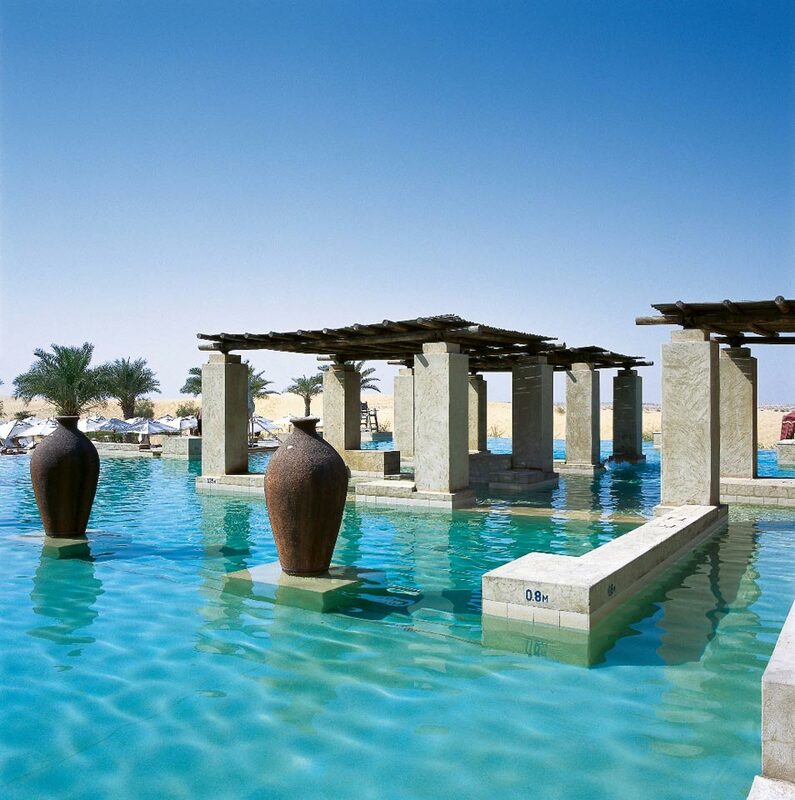 The spa has an exquisite array of treatments, from exotic facials to holistic and body massages.